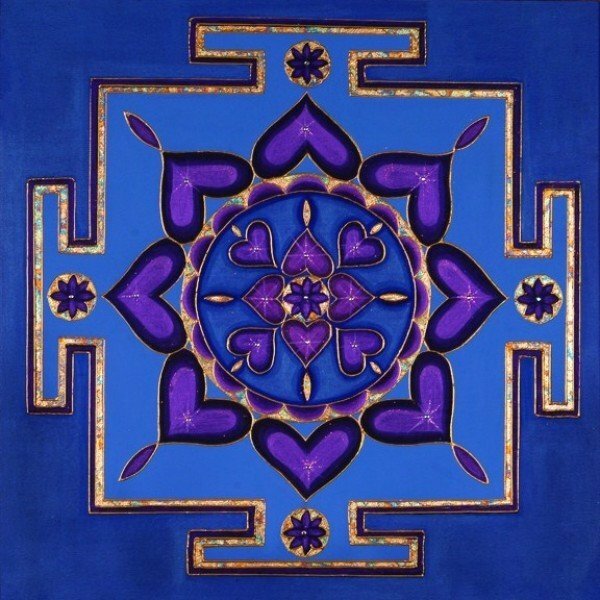 Sapphire Self Love | Artwork – Store – Tammi B. Ph.D.
Hand painted mandala 20" x 20" acrylic, mixed medium, gold leafing and Swarovski crystals. Created with the intention to relax more deeply into the space of love within. It is from the space of self-love we can truly see others through the eyes of love. I can recreate this image for you in any color scheme you would like.